Protect against unauthorized viewing and illegal distribution. High-level Encryption: With 256-bit AES encryption and advanced video encoding algorithm, more secure and reliable! Anti Screen Recorder: Automatically identify various known and unknown screen recorder software and prevent it from running. Fast and stable: Encrypted video can be quickly played, the user will not feel the delay. License Control: Only with the play password, can the user play the video; Limit the number of plays and the expiration date. Watermark: Set different text watermark for each user. Static watermark and floating watermark are supported. Support large files: maximum support 100G! Password Protect Shared Folder: Read only by default. Users get more permissions with specified password. Copy Protect All Files: PDF, Excel, Word and other MS Office Documents, Flash, Videos, Photos, Pictures, Images,and Application. Multi-user Permission Settings: set up to18 types of access permissions for multi user groups. Rapid deployment process : Anyone can access the protected folder by LAN without installing the client. Ultimate USB Security Software for Windows! Password Protect USB Drive: USB lock & USB Secure. Protect USB drives and all other portable devices with passwords. Never worry about data leaking even when your USB drive is lost or stolen. Ease of Use: Only 3 steps. 1. Plug in USB drive, 2. Run USB Security 3. Set a password. Then your USB drive is password protected. Protect All Portable Drives: USB Security can protect USB drives, flash drives, thumb drives, memory sticks, external drives, jump drives, and memory cards. Absolutely Fantastic. Easy to Use! On-the-Fly Protection: Secure 256-Bit AES On-The-Fly Encryption. Portability: No need to install. Directly run it on hard drive, USB drive and any other removable drive to protect folder and files with passwords. Data Security: Undeletable, Unmovable and Inaccessible. Protected folders and files are locked and hidden and totally secure. All-in-one File & Folder Encryption Solution! All in one - Folder Lock, File Lock, USB Security, Drive Lock, Folder Encryption, File Encryption and File Shredding. Lock Folder and File in Windows, DOS and Safe Mode. Easily Lock Folder, Encrypt Folder, Hide Folder and Shred Folder in 2 Steps. Explorer Right-Click Context Menu to quickly Lock Folder and file. "The Kakasoft Folder Protector application is extremely easy to use and straightforward interface. Simply enter your password twice and click "OK", then the folders were locked." 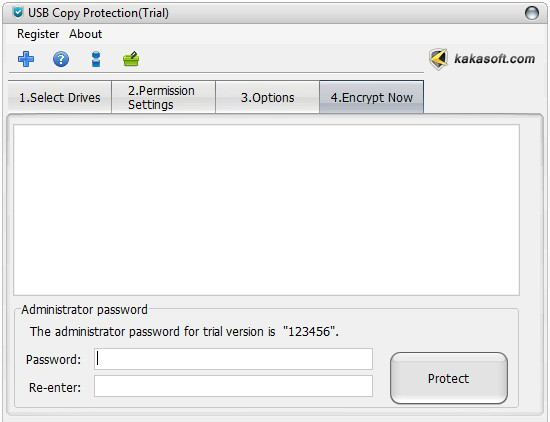 "Kakasoft Advanced Folder Encryption helps me a lot to lock folder and file in office and home. Simply enter a password twice and click "OK", then the folder is locked." How to lock a file on Windows? How to Encrypt USB Drive Files? All-in-one folder lock software for folder and File Lock, Drive Lock, File Encryption and Shredding. Copy protect EXE, PDF, MS Office, SWF, image, video files, etc on USB drives. USB Security 1.65 is released! The latest USB Security version 1.65 is released on Step 20th with up to 50% off promotion for valued users! 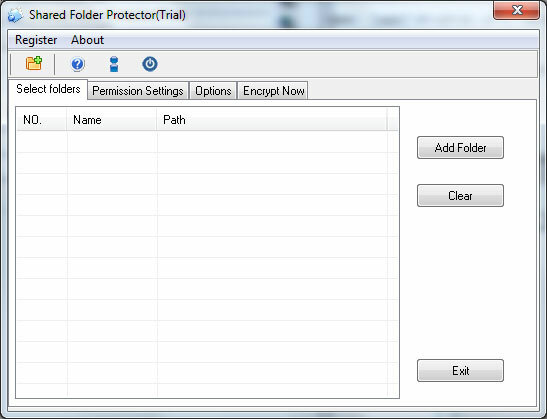 Folder Protector 5.74 is released! A portable folder lock software to protect folder and file with password on Windows Hard Drive, USB devices without installation. Copyright © 2006-2019 KakaSoft Software CO., Ltd. All rights reserved.